You even get to present one of these to the winner, on stage. The School Travel Awards are organised by the team at School Travel Organiser magazine and recognise the best venues, attractions and companies for school trips, as well as shining the spotlight on people and schools that embrace learning outside the classroom. Awards Partner packages provide a high profile and cost-effective way to promote your business or venue over a nine-month period, and to be involved in one of the most successful high profile educational initiatives in the UK schools calendar. Our packages offer superb branding and marketing opportunities and, as the only awards of their type, we anticipate continued high demand for participation in the awards, culminating in the lunch and ceremony in November. Don’t miss out and talk to us now. What do you get as an Award Partner? Free table for 8 persons at the prestigious Awards luncheon in London. 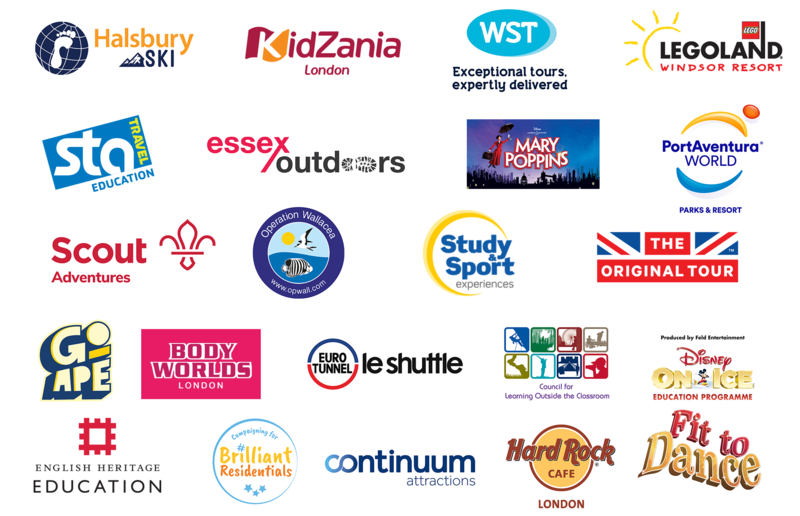 Your logo in every edition of School Travel Organiser (through to December 2019). Logo included in a range of e-marketing promoting the event and asking readers to vote and enter. Free page advert and full branding with logo in the special Awards Review included with the December edition of School Travel Organiser. You, as a presenting partner of a category, will announce the winner and present the trophy and framed certificate on stage during the luncheon together with our VIP celebrity guest. Logo in souvenir Awards lunch menu. Logo included on the video screen at the lunch during rolling credits and when the category you are presenting is announced. Your category partnership announced from the stage by the presenter. Inclusion in School Travel Organiser’s photo review following the Awards lunch, pictured with the winner of the category you have supported. Inclusion in the website photo gallery which goes online shortly after the Awards ceremony. Plus, use the official partner logo to show everyone you are supporting these important awards. The School Travel Awards is the most important annual initiative of its kind. It is without doubt the most prestigious and cost effective branding promotion with regular frequency you can obtain throughout the year. Over the period you will have exposure to thousands of high spending schools through the magazine plus many thousands visiting the online School Travel Organiser e-magazine edition, its website and the regular e-newsletter. The annual lunch ceremony for the School Travel Awards will provide a fantastic way of entertaining clients, suppliers, staff or friends in superb surroundings - included in the price. For full information on the School Travel Awards and opportunities for 2019/20 contact Sophie Kench now on 01908 613323 or click the button below to send us an enquiry.